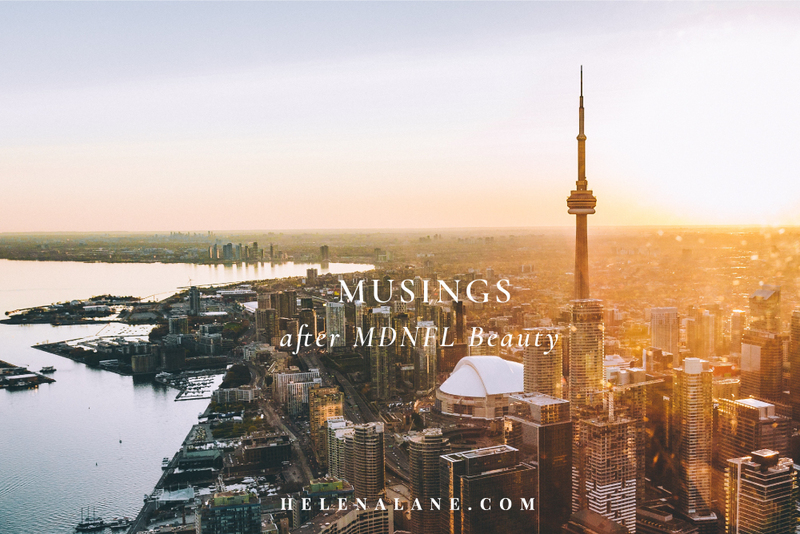 Last month I had the honour of being invited to and attending MNDFL Beauty in Toronto. It was primarily a media event to showcase some of the best natural and organic beauty brands Canada has to offer. I was thrilled to be invited! I went with few expectations. My customer base is very much centered here on the west coast of Canada so I knew I would be one of the lesser known brands. But with a few loyal customers and followers promising to come and meet me and the opportunity to meet some of the founders of the brands that I follow, I was looking forward to the event and confident it would be a valuable experience. The event itself was beautiful, a stunning hip location, with about 30 beauty vendor tables all looking fantastic. Just like my time at Refresh Market, I love the aesthetics of these events. However, as I traveled around the room looking at all the products on offer, I began to feel a little overwhelmed, intimidated and well, different. I saw glamorous packaging with captivating product names. I saw different products for every area of the face (brows, eyes, lips, lashes, décolleté..). I heard aspirational tag lines and big promises of miraculous skin improvements. And I saw high price tags. Now, I am totally aware that the natural and organic beauty industry is growing fast and in many ways following the route of conventional beauty brands in their marketing strategies, but I hadn’t seen it so up close and personal and certainly hadn’t been stood alongside them. To be honest I struggled with it. It is right? The “flashy” marketing of conventional brands selling promises alongside a healthy dose of guilt (if we are not using a multitude of products we are not looking after ourselves appropriately), is my biggest issue with the beauty industry today. One of the most interesting (and upsetting) comments I hear from customers when talking face to face is an apology for not looking after their skin by using lots of products. Women (and now increasingly men) are made to feel guilty. Incidentally these are the people with the healthiest skin that I see. I have come to the conclusion that just because this style of marketing from natural and organic beauty brands does not align with my values or brand proposition it doesn’t mean it is “bad” or unethical. In fact, if it is attracting more people away from conventional brands and into using healthier products it certainly has its place. Some women like, or maybe even need, to see these messages to believe that “natural can work as well as or better than conventional products”. 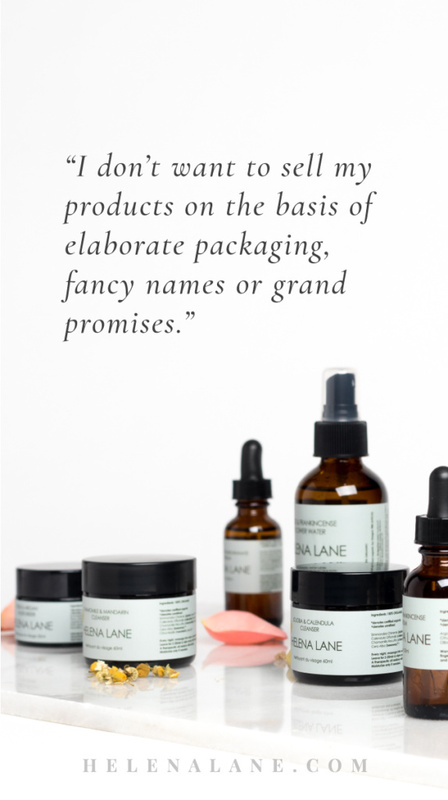 I don’t want to sell my products on the basis of elaborate packaging, fancy names or grand promises. Real life testimonials, word-of-mouth, effective beautiful products, simple routines and an environmental conscience is much more my style! I think you have an amazing product! I worked in the beauty industry for 25 years. I left my job because I realized what a toxic environment I was in. I love the simplicity of your packaging,plain simple to the point, it’s not overwhelming information you don’t have to have a degree in science to understand. It’s what is inside that matters. Thanks!